Janette B Little Big Bangs is ready for the revolution. For all the possible interpretations of the Little Big Bangs' band name — sexual pun? Hairstyle critique? Custer's Last Stand reference? — the most obvious is probably the most appropriate. The chaos and creation of the Big Bang theory is shrunk down to a lean, gritty punk-rock quartet that regularly punches above its weight class. Drew Gowran keeps the beat while Lucy Doughtery, Ryan Macias and Eric Boschen all share guitar, bass and vocal duties. The five-song Easter Egg Demo certainly has the rough edges associated with a demo, and Glenn Burleigh's recordings have all the charm and hiss of a basement rehearsal. 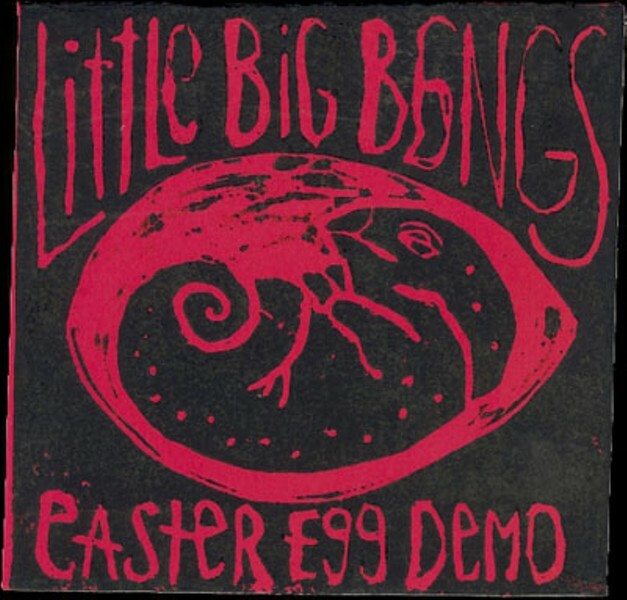 But for a band like the Little Big Bangs, it's hard to imagine how a "proper" recording would sound. The bloody knuckles and bruised shins are part of the package. Opening cut "Lucky" has the swagger of garage rock, but it's that positively thrilling opening riff, with power-pop traces and a melodic heart, that sells it. The song also introduces the band's three-pronged approach to vocals — if Macias and Boschen can veer from Sonic Youth/Pavement-esque loucheness to raw, marble-mouthed fervor in their deliveries, Doughtery goes for a full-on scream every time she's on the mic. She provides increasingly manic backing vocals on "Lucky," and she remains an unmissable wild card throughout the EP. Closing track "Head Down" takes aim at mindless jingoism and racist attitudes in a squall of guitar shredding — a classic punk target with a classic punk delivery. "Sick" kicks off with twangy, campy surf rock so catchy that you'd never know it's about addiction and desperation. It's that kind of bait-and-switch that makes Easter Egg Demo a rich, nuanced listen, which is not true of most bash-'em-out punk demos.